The United States Air Force made it possible for me to come into the world. I know, it sounds like a bit of a stretch, but for the most part, it’s true. 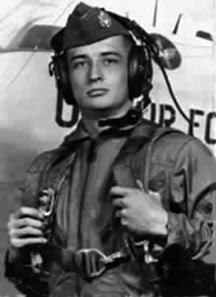 I was born in 1963 to a USAF navigator, Thomas Joseph, who perished in a B-47 aircraft over South Central Minnesota during a Cold War training exercise 7 months earlier. He had just celebrated his 23rd birthday. Two days later, while coming out of LABS maneuver, in a twist of fate that would change the lives of four families, a piece of the engine’s turbine wheel broke off and sliced off the wing of the aircraft, putting the plane into a unfortunate spiral which jettisoned the crew into the fields of Comfrey Minnesota, a small farming community in Brown County. Forty five years later I’ve come to know that the most important people in my father’s life were people he met in basic training and the navigator cadet programs in Texas; men who came from all over the United States to serve their country and start their careers during uncertain times. Not much has changed since the 60’s given that our military is still very much on alert and war is still part of our National experience. As much as these men are all now retired, they’ve adopted me as ‘Air Force Uncles’ and I get a greater sense of who my father was because of them. 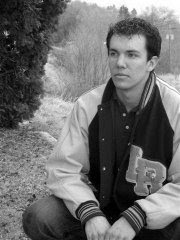 Tomorrow morning, my 20 year old nephew, Joseph Paull, will graduate from Basic Training at Lackland Air Force Base and begin his new journey. Over the last six weeks he changed from a boy to a man. Anyone who has been through what he has experienced knows this. You go to ‘boot camp’ or ‘Basic’ idealizing certain things, scared, confused about what is about to happen to you and when the finish line approaches, you can hardly believe what has happened to you emotionally, physically and spiritually. I got a call from him last week, an unexpected surprise for me. He has been on my mind a lot these two months, recalling stories that my air force uncles told me about what it meant to get through this process, I would think about Joe and what he was going through. His voice on the other end of the phone was different…amazed at how much he had changed, who he is becoming. I get it. I’ve never been so proud. It’s hard to convey pride over the phone. I just know that this journey he is taking is not easy. It’s damn hard. Although Lackland AFB's motto boasts that it begins with them. “Where the 'Blue' really begins", is in the hea rt. So in rejoicing over this accomplishment, I am flying to San Antonio today so that I can be at Lackland Air Force Base tomorrow. I can’t be anywhere else. As Joe’s Godmother, I’ve prayed for him as much as I’ve prayed for our kids. My air force uncles, in recalling these important milestones to me, talked about graduation and what it meant to have the support of family and friends, as they took these next steps forward. The path involves commitment and sacrifice; something only military men and women understand. As Joe’s circles tighten up, with the type of specialized training he will receive as he moves onward and upward into the USAF family, I hope he knows how much those of us outside the circle admire and appreciate his sense of duty and service to his country. I am an Air Force daughter who has become a proud Air Force aunt. 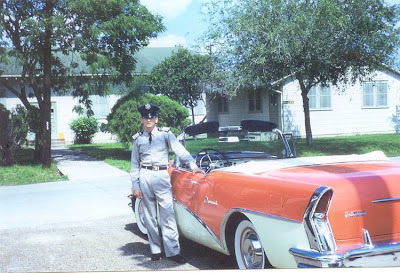 For this rite of passage, I will need to check at the airport, a cargo bag loaded with Kleenex , to see me through the ceremonials tomorrow, knowing that 48-years ago at Harlingen, Texas, a young airman with a red Buick; one I never had the privilege to know, led the graduation march of his aviator cadet class at his own commencement. There’s not much that has changed in 48 years. Both of these men who share the same name Joseph, have both shared hope for a peaceful future while looking toward the promise of opportunity. I pray that one will watch over the other, and that God will keep His keen eye on Joe as he moves forward. Protect him from enemies both seen and unseen.